Hand stretched using Toad’s Mill Spelt flour in our chic pop-up wood fired restaurant. 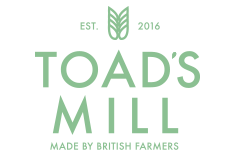 Toad’s Mill Kitchen is our exciting next step. 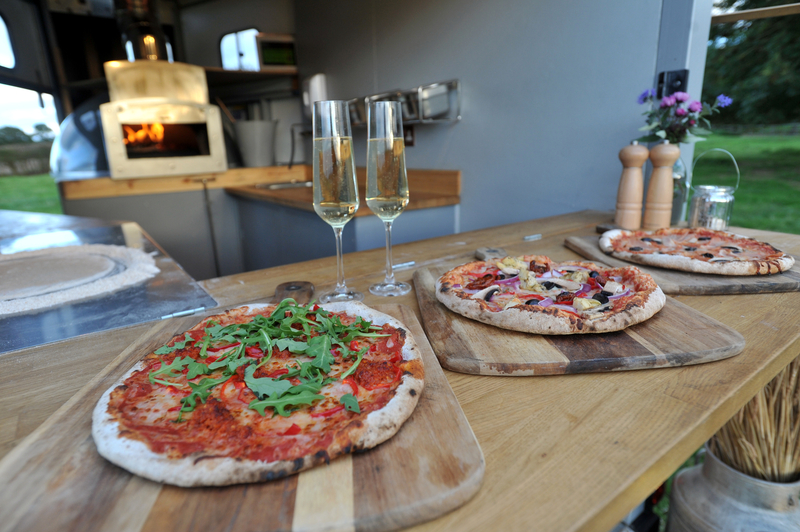 We’re turning our home-grown spelt flour into exceptional pizza dough, hand stretched, topped with delicious local ingredients and baked in our pop-up horsebox restaurant kitted out with a chic wood fired oven. 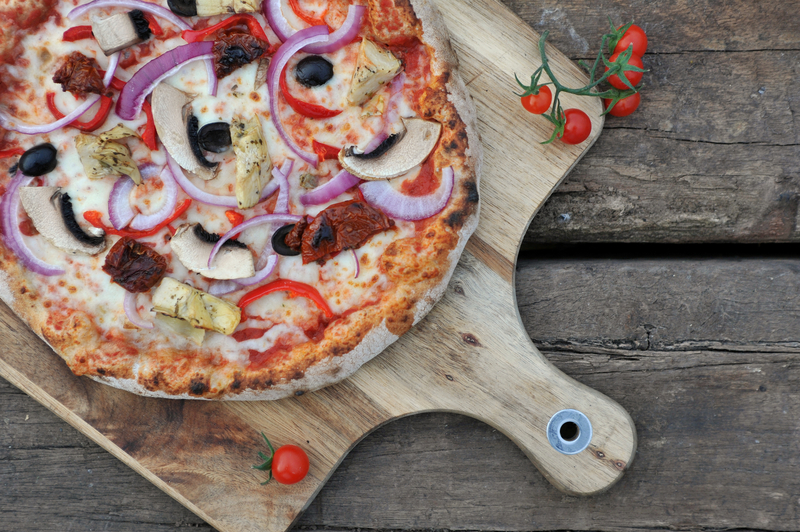 We aim to source as many ingredients locally as we can, from Herefordshire and surrounding counties, using only the freshest and most delicious toppings for our pizzas. Our pizzas are named after the fields on our farm. Mapleton is our heavenly cheese and tomato classic and Pepperbox, our meat and heat treasure. And there are lots more on the menu too. We are attending several festivals over the summer, and we’d love to cater for your parties from weddings to anniversaries, special birthdays providing delicious wood-fired pizzas for your guests with the option of buffet style or an individual pizza per guest. We love experimenting with new flavours and are happy to work with you to create the perfect menu for your event. Our pop-up restaurant will has elegant branding of copper and black which we promise will be stunning addition to your day. We can cater for meat eaters, vegetarians and have a special menu just for vegans too. 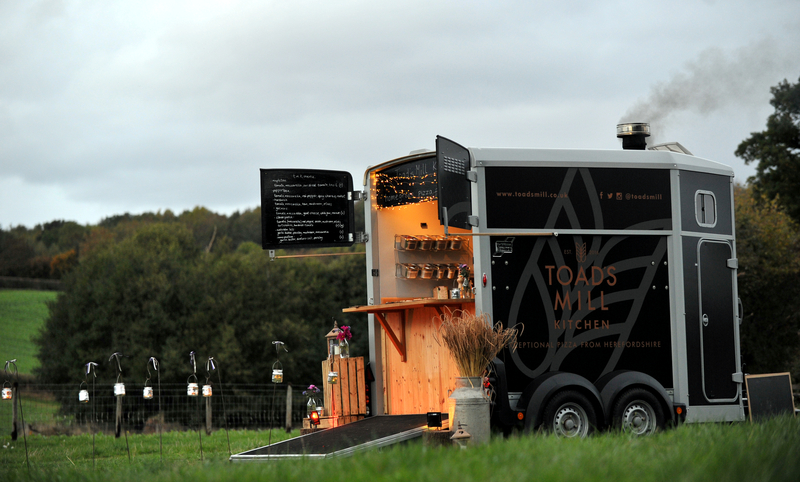 Please do get in touch if you would like to discuss using Toad’s Mill Kitchen at your event.